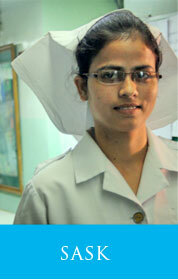 The Well Women Clinic is exclusively for the welfare of women aged 30 years and above. It can be availed by appointment only. It is essentially a health check-up for preventive health care available in the OPD. It comprises of a package of tests namely Blood Sugar, Haemoglobin, Uric Acid, TSH, USG of Breast, Pap smear, Urine Test RE, USG of Lower Abdomen, Creatinine, Cholesterol and Medical Consultancy. The consultant briefs the patient about Breast Cancer & BSE, Abdominal Hysterectomy, Menopause, Ovarian Cyst, Pre Menstrual Syndrome, Urinary Tract Infection, Uterine Fibroids, Vaginal Dryness and Vaginities.